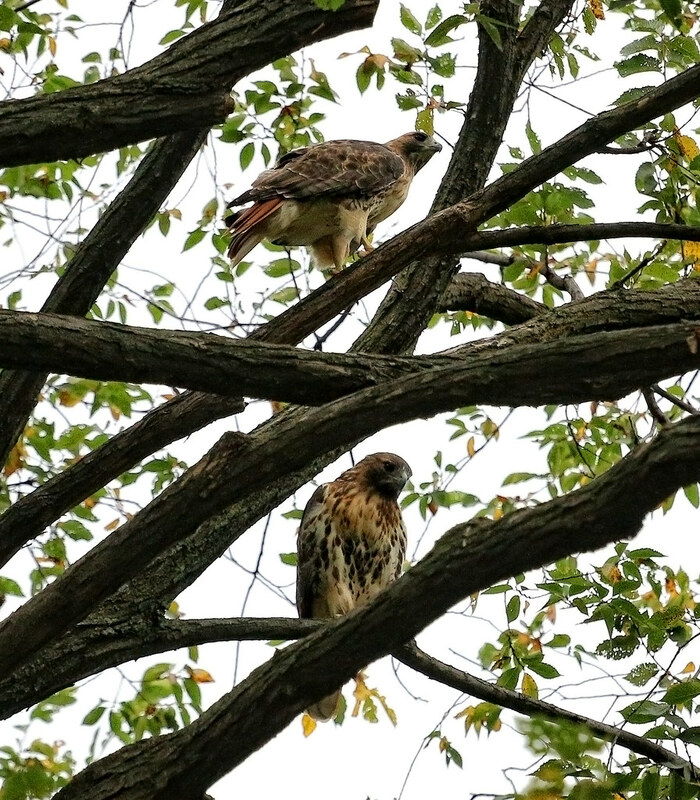 This was late in the day, around 6pm, but other people told me they saw the hawks sitting together in the same tree all afternoon. 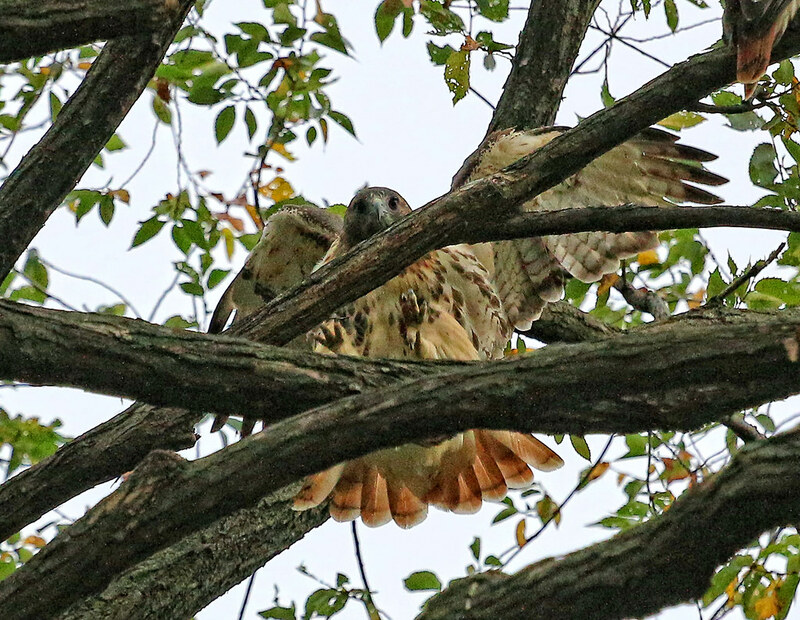 This time last year, I saw the first of many migratory hawks come into the park, so I'm wondering if this pair might be guarding their territory against any uninvited travelers. And here's Christo. He started molting in August and seems to have replaced his feathers pretty quickly. It's not visible here, but he has three new tail feathers coming in. Then, there's this mystery hawk...it could very well be Christo or Dora, but I can't tell. This was taken on September 9 and, at the time, I really didn't think it looked like either one of them. I saw it for three or four days in a row in the same place behind the bathrooms, and each time I could recognize it (or thought I could), and it really didn't look like our birds. 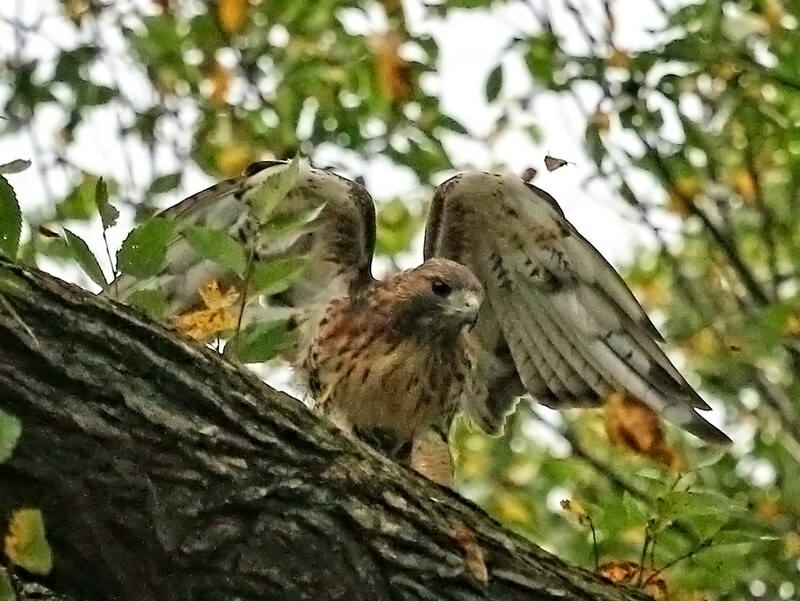 But, who knows, both hawks looked scruffy while molting. 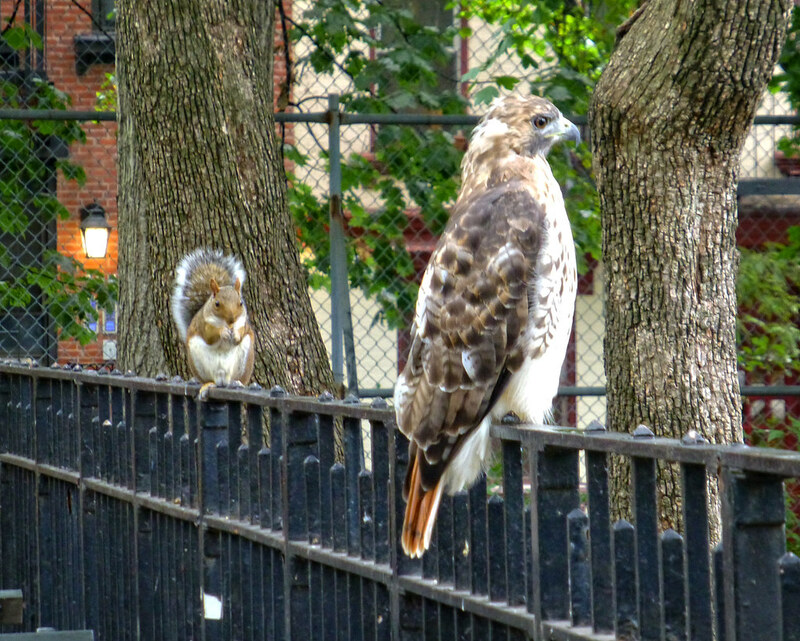 It just seems unlikely that Christo and/or Dora would allow another adult hawk hanging out in their territory. The squirrel, on the other hand, seems pretty welcoming! This bird ignored all the squirrels and focused exclusively on catching rats (squirrel fans rejoice!). Here is some video I took of it catching some dinner. Even after being so close for so long, I was still unable ot identify this individual bird. Heh, it's not quite National Geographic...! I do like the ambulance going by and the squirrels gawking after the rat was caught. Maybe this season I can practice more video to catch the action. Also, after looking at this more, I suspect the hawk is Christo. In person, it was too hard to tell.